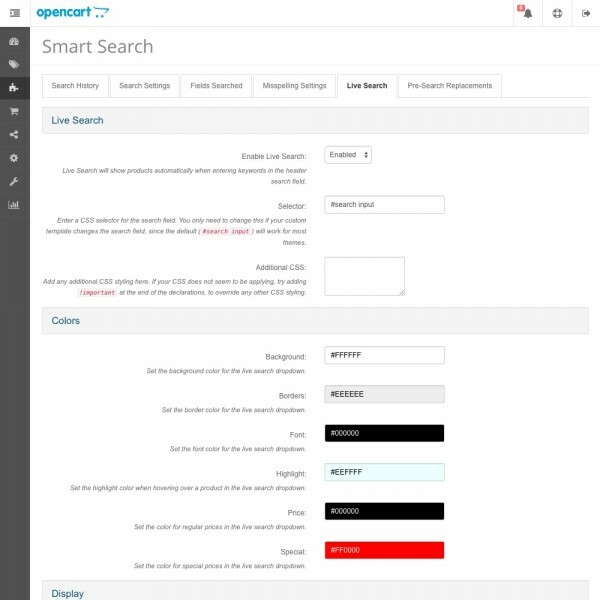 Choose which product fields to search within: name, description, meta tag description, meta tag keywords, tags, model, SKU, UPC, EAN, JAN, ISBN, MPN, location, category name, manufacturer name, attribute group, attribute name, attribute value, option name, and/or option value. 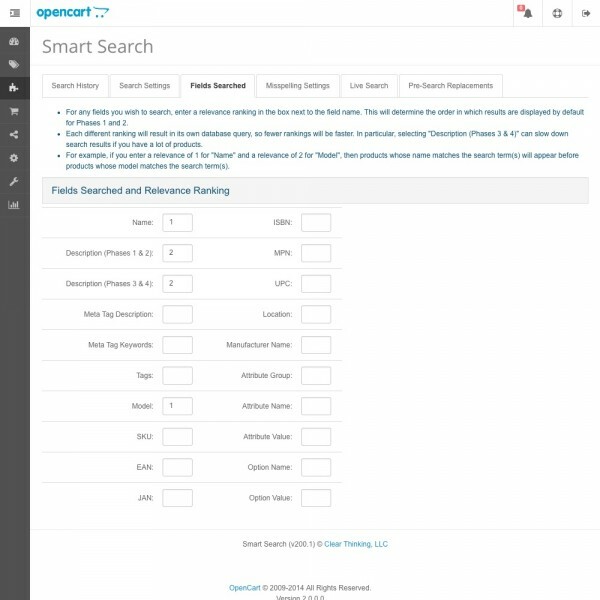 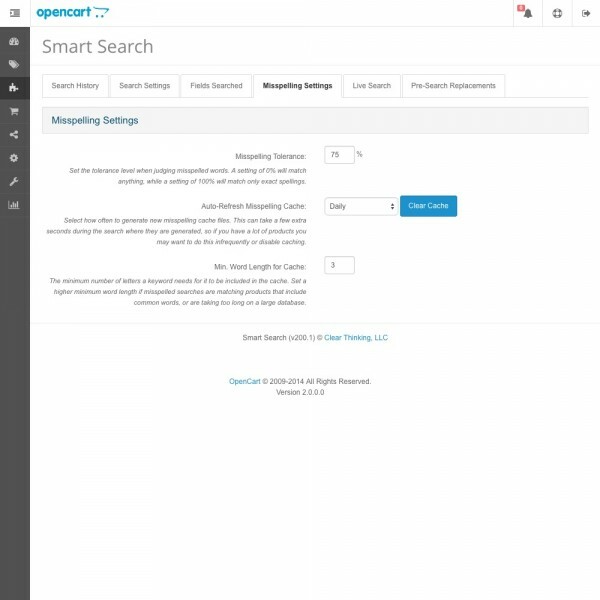 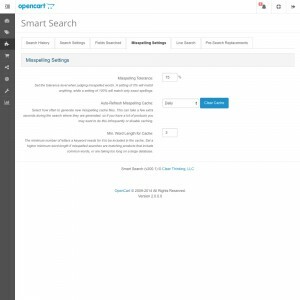 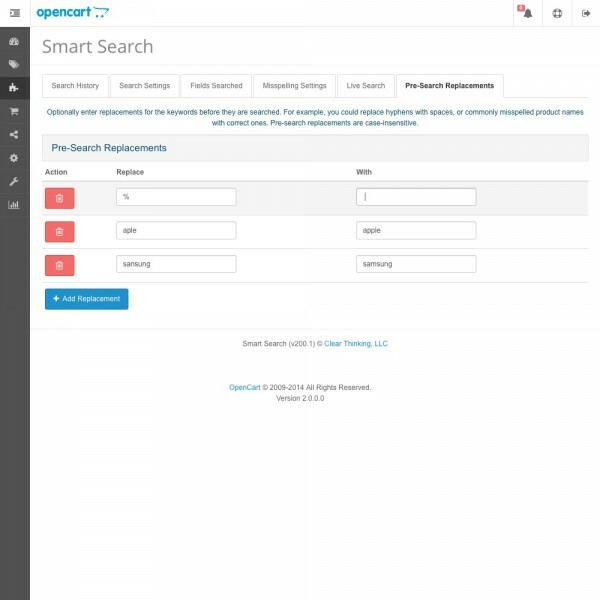 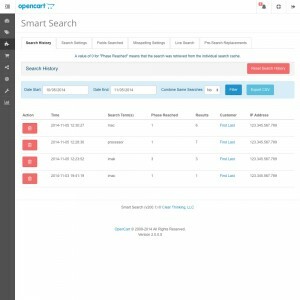 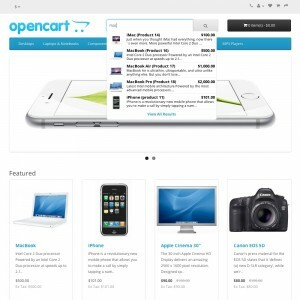 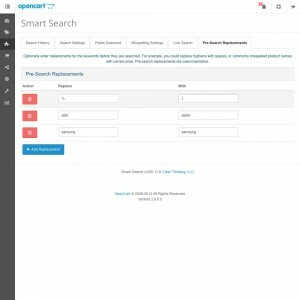 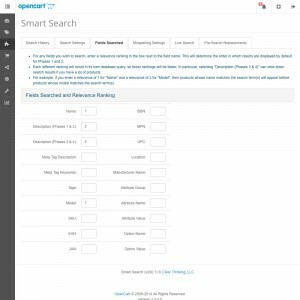 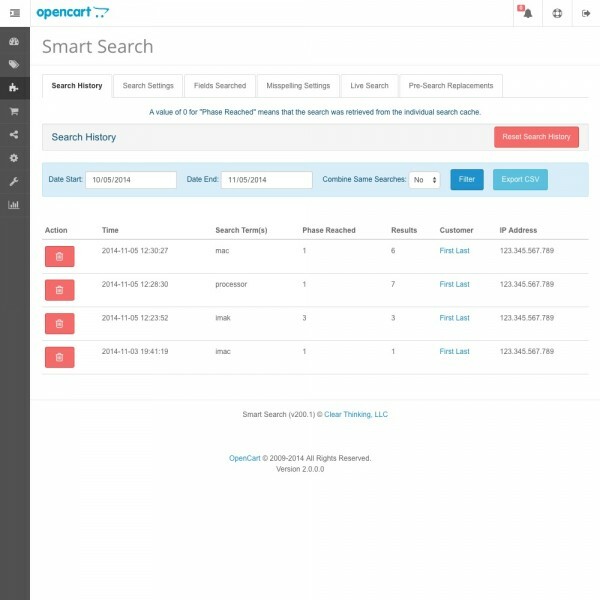 Automatically display search results right from the search bar with the included Live Search functionality. 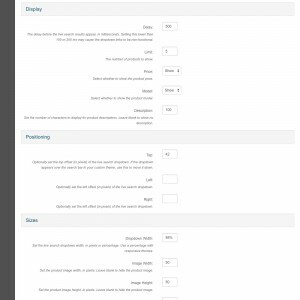 Choose the default sorting for products: date added, date available, date modified, model, name, price, quantity in stock, rating, sort order, times purchased, or times viewed. 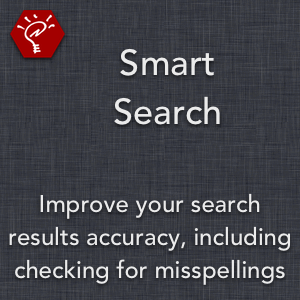 Set a minimum number of results to display, so customers always have more than a few results to choose from. 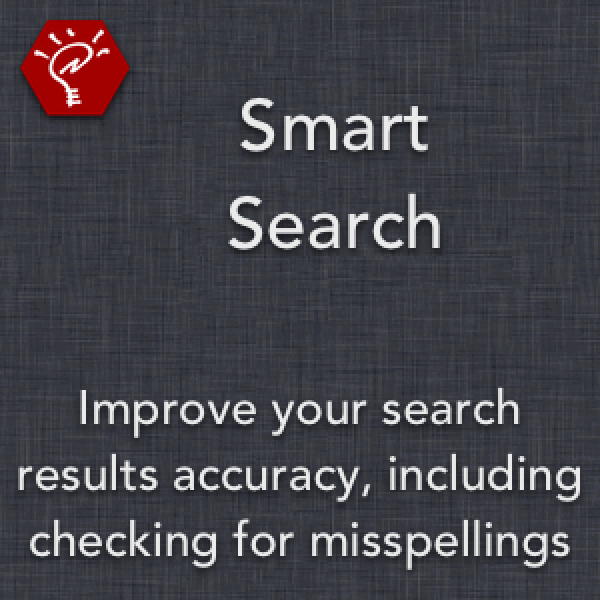 Optionally account for plurals, for misspelled words in searches (including setting the misspelling tolerance), and for searching within a category's sub-categories. 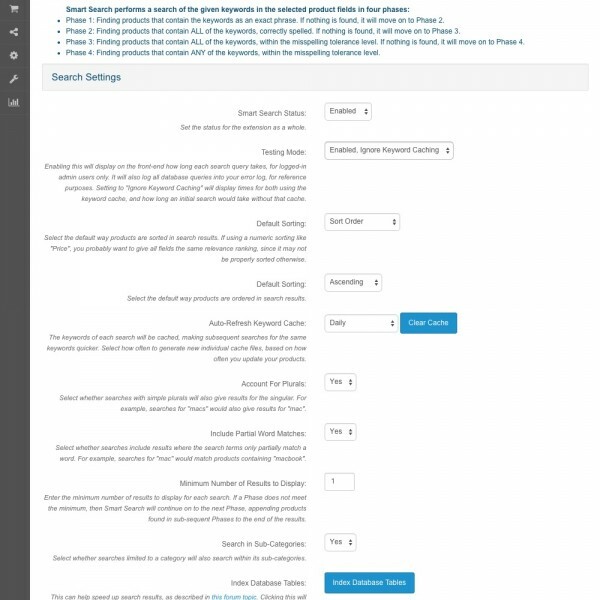 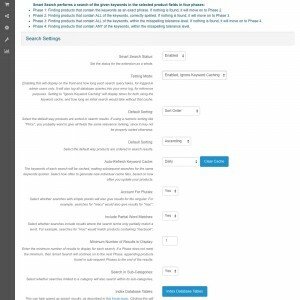 Select how often to refresh the keyword cache and the misspelling cache: hourly, daily, weekly, monthly, or yearly. 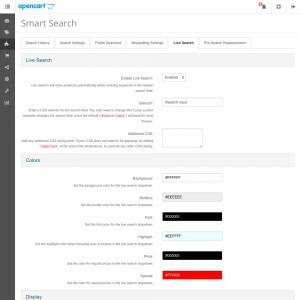 Make pre-search replacements on the search terms, such as replacing hyphens with spaces or commonly misspelled product names with correct ones. 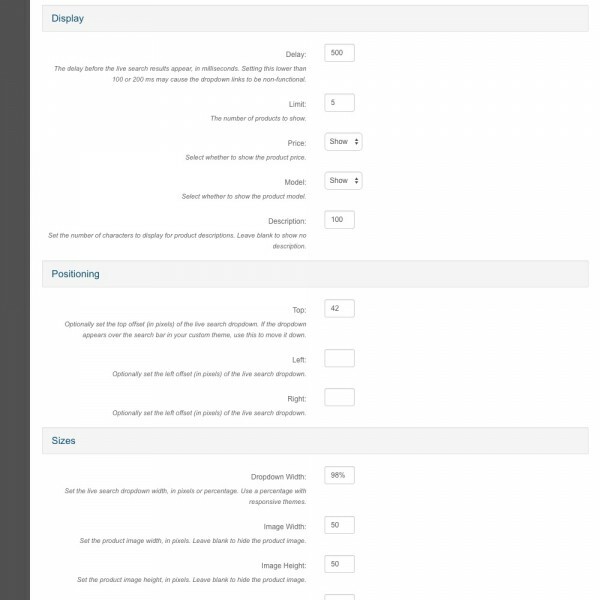 Enable a testing mode to view how long queries are taking on your site.